Defensive end Eric Norwood was injured in last Sunday's East semifinal, the latest of many injuries to hit the key defensive unit this year. It seems defensive co-ordinator Orlondo Steinauer will again have some shuffling to do on the Hamilton Tiger-Cats' defensive line. Hamilton is expected to be minus defensive end Eric Norwood on Sunday when it visits the Ottawa Redblacks in the East Division final. 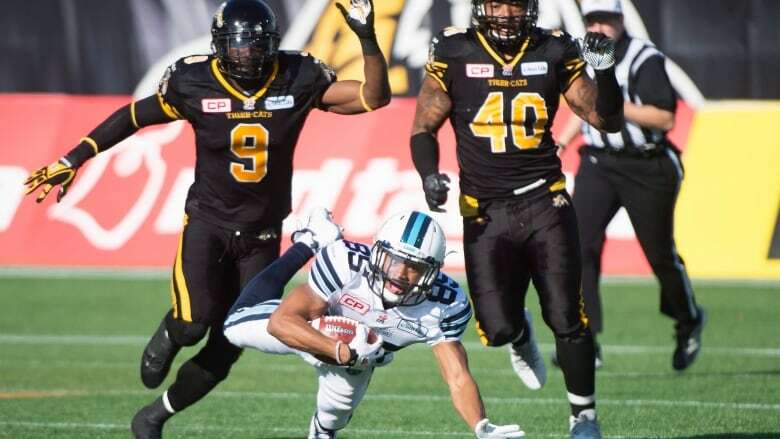 Norwood reportedly suffered a season-ending knee injury in Hamilton's 25-22 victory over the Toronto Argonauts in the East Division semifinal Sunday. The six-foot-one, 252-pound Norwood had seven sacks, one interception and two fumble returns for touchdowns this season. Canadian defensive linemen Linden Gaydosh, Brian Bulcke, Evan Gill and Hasan Hazime are all currently on Hamilton's injured list. With Norwood sidelined, former Laval star Arnaud Gascon-Nadon is expected to start against Ottawa.